This place is known for the temple of lord Mallikarjuna. The place is nearer to Mysore. During January-February a big festival for a week will be organized where selling of cattles and other items required for agriculture take place. This place is very nearer to one more holy place called Talakadu which is situated at the banks of river Kaveri. 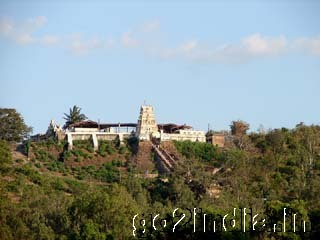 Talakadu is famous for shiva temples and particularly Vaidyanatheswara temple. This place can also be reached from Somanathapur, one more well known place for the temple of lord Channakeshava. The distance from Somanathapur and Mudukuthore is only 26Kms. The main city to start from is Mysore. From Mysore the total distance to Mudikuthore is 60Kms. The total route is from Mysore to Bannur which is 24Kms. Bannur to Somanathapur the distance is 10Kms and Somanathapur to Mudukuthore the distance is 26 Kms. Only bus transportation is available. Both Karnataka state government (KSRTC) and private buses available. The total trip for Somanathapura, Thalakadu, Shivanasamudram and Mudukuthore can be booked either at Mysore or Bangalore. The best visiting time is from September to February as there will not be any rain and the various temples situated at Thalakadu can be seen clearly. These temples are submerged in sand. The climate is moderate entire year. Resorts are available in this place to stay. These are to be booked at Bangalore KSTDC centre. There are no entry fees at temple for anything. But, toll gate fees are there at 2-3 places until one reaches the place Thalakadu. All types of cameras are allowed inside the temple. The place is purely village area. No good hotels are available. 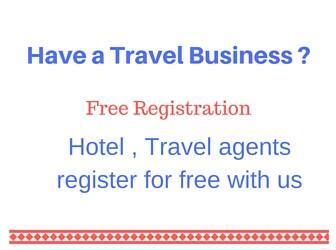 Small hotels are available at Thalakadu which is only 4 Kms away. This place is not a shopping place. Normal practice of the trip is to visit Somanathapur temple (from Mysore) and then proceed to Mudukuthore and then to Thalakadu. If one is interested to see the sun set in Thalakadu, the trip can changed to proceed to Shivanasamudram from Somanathpur and then frm Shivanasamudram to Thalakad. In the latter case, be sure to reach before 4.00pm as the temples at Thalakad cannot be seen.